With 9 National Parks it ranks California #1 in the U.S. for the most National Parks! (Alaska 2nd, Utah 3rd) With options for the beach, mountains or desert landscape I can see why everyone wants to live there. Here are the places we’ve been! Yosemite will have always forever have a special place in my heart. Not only was it the first dedicated park, where John Muir got the majority of his inspiration to help create the park systems and one of the most famous parks in the world, but its also where I asked my then Fiance’ Michelle to be my wife forever here. Little did Michelle know, that she was going on her last hike with out a ring on her finger! 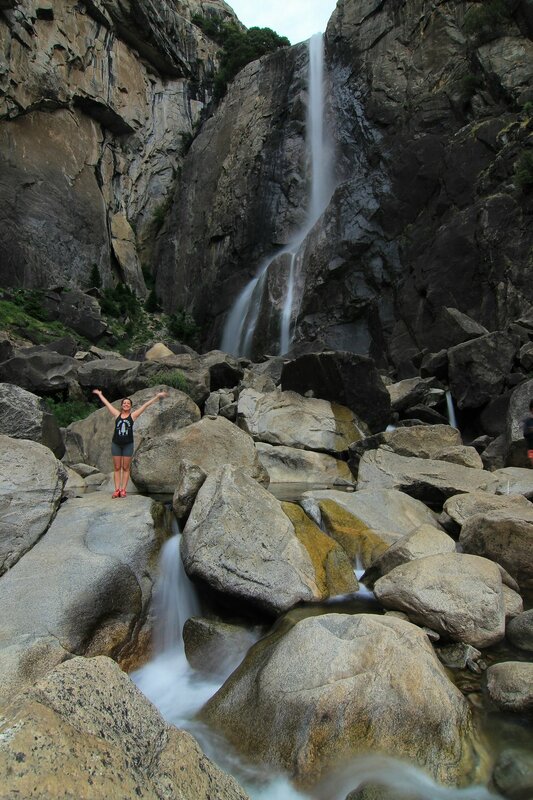 One of my favorite hikes I’ve been on is North America’s longest waterfall, Yosemite Falls. 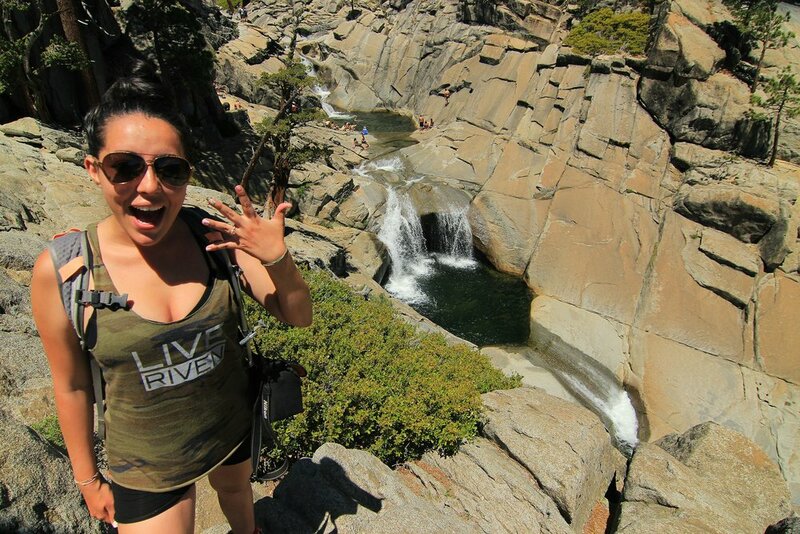 I felt it was the perfect place to propose to my wife at the end of this hike, as we were cooling off in the cool water pools at the very top, overlooking the beautiful Yosemite Valley. This Fall is split up into 3 sections. Lower Falls, Cascade Falls and Upper Yosemite Falls. (pictured below) Its is a strenuous 8 Mile hike round trip, with many switch backs (pretty similar to Angel’s Landing.) You gain nearly 4,000 feet in elevation. It is located near Camp 4 of the North side Drive near Yosemite Valley Lodge. Halfway there you start to see some amazing views! Is a simple walk up hike with the best reflection that I’ve found at this park, We shared mimosas over a perfect sunrise to ourselves watching Half Dome slowly light up with magnificent florescent colors. The Giant Sequoia named Grizzly Giant is between probably 1900–2400 years old: the oldest tree in the grove. In 1932, park officials claimed it as the fifth largest (by volume) tree in the world, but other trees were subsequently found to be larger. If you are already visiting Yosemite then you might as well take the 2 hour drive to the amazing Sequoia National Park! Seeing these massive 2,000 year old trees has always been on our bucket list and were not disappointed in the least. If you are a “tree-hugger” this is your place! On top of the Sierra Nevada’s sits Lake Tahoe, it is the second deepest lake in the United States and the tenth deepest in the world, with a maximum depth measured at 1,645 ft (501 m), and average depth of 1,000 ft (305 m). 4. The water is 99.994% pure, making it one of the purest large lakes in the world!